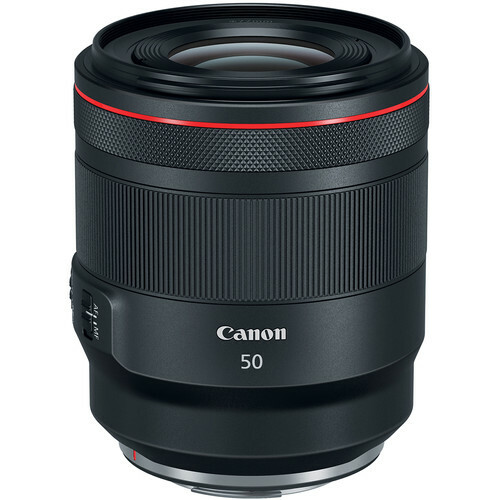 OpticalLimits has published the Canon RF 50mm f/1.2L USM lens review – It seems that the Canon RF 50mm f/1.2L USM is the best 50mm lens that Canon has ever made: “an awesome lens”. That all being said, it is quite obvious that the Canon RF 50mm f/1.2 USM L is an awesome lens … with a similar awe-inspiring price tag. In relation to other lenses in this class, the performance is already superb at f/1.2. Yes, the outer image region is not truly stellar but it’s impressive nonetheless. The image quality is extreme at medium aperture settings – across the image frame that is. Low lateral CAs contribute to the very high image quality perception. Image distortions are generally no issue. Vignetting is though – at least in its uncorrected state. There is some heavy light-falloff at f/1.2 and f/1.6 but to be fair – that’s to be expected. Most users will not (should not?) buy the lens for its sharpness but for its shallow depth-of-field capabilities. While not truly exceptional, the bokeh is very good with a smooth rendition in the focus transition zone. Out-of-focus highlights are nicely rendered in the image center, less so towards the image corners. However, that’s a physical limitation really. We were also very impressed by the very low bokeh fringing. Yes, you may spot some traces at f/1.2 but it’s not really relevant anymore from f/1.6 onward – and that’s a very rare characteristic. Thumbs up for that. In terms of mechanical qualities, there are no real weaknesses. The lens is built to professional standards including weather sealing. The AF is surprisingly fast thanks to Canon’s dual-pixel AF and the Ring-type USM drive in the lens. You won’t really miss a DSLR in this respect (in this specific case at least). Unlike on DSLRs you also don’t need to worry about AF accuracy anymore. You may think that the additional control ring at the front of the lens is a bit of a gimmick but it has grown on us during our field trip. Given its optical and mechanical qualities … as well as its uniqueness in the EOS R system … it is, of course, easy to highly recommend the Canon RF 50mm f/1.2 USM L … assuming that you can afford it at least. Read more: Canon Cyber Monday Deals.